BLAINE Hughes was so close and I have no doubt that he will secure an Irish News Allstar at some point in a very promising career ahead, but Niall Morgan has been excellent. His performances have been mature and commanding. He is an integral constant and, aside from Cluxton, is now one of the top goalkeepers in the game. A TOUGH, no-nonsense defender who is extremely quick and fast. Excluding the All-Ireland quarter-final against Tyrone, Morgan was excellent. While I don’t think he had his best game that day, I do think he was on a damage limitation exercise due to the entire Armagh team being overrun. He can be proud of his contribution to Armagh’s resurgence. YOU need the spine of your team to be strong. Up steps Ronan McNamee. He dealt extremely well with Connaire Harrison and barely give him a sniff in the Ulster final. He is equally as comfortable on the ball as he is defending and can regularly be seen charging out of the defence on the overlap to support his team-mates. A worthy recipient of another Irish News All-Star. A CLASSY defender and he is regularly assigned the toughest jobs in defence. He normally picks up the opposition’s best players (as long as they are not six feet plus). He would be a joy to manage. Leads by example and fiercely competitive and fearless. Down’s captain should get his first Irish News Allstar. SINCE ‘Rufflegate’, McCann has matured and has got on with what he does best. Against Derry, Donegal, Down and Armagh he exploded through lines and is either finishing with a score or turning provider. His emergence as a half-back, having started life as a county wing-forward, has helped transform Tyrone into All-Ireland contenders. NOMINATED as man-of-the-match in many of Monaghan’s winning performances this year. His pace and ability to break the lines has helped him to cement a starting place. He can score too and was regularly chipping in with points at crucial times. He was also a leader when things were not going so well and I suspect the reason for his substitution against Dublin was injury. 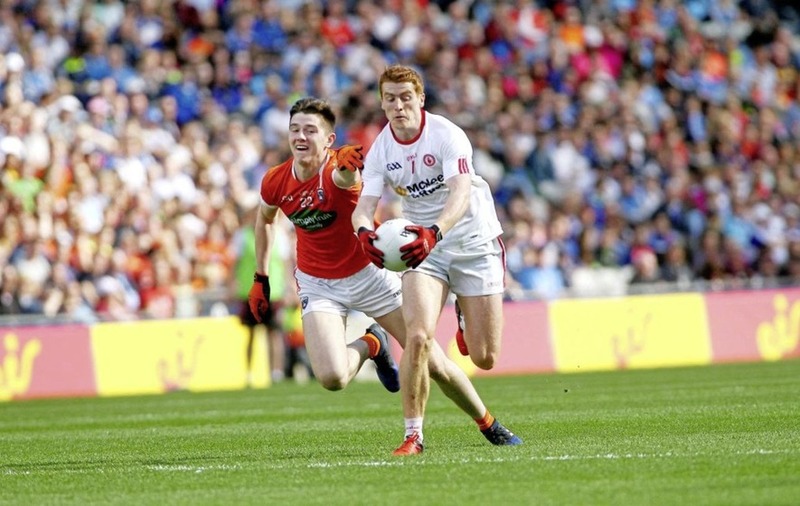 MISSED a couple of frees in Croke Park against Monaghan but make no mistake about it, his introduction into the first 15 in March helped Down retain their Division Two status, overcome Armagh and Monaghan in the Ulster Championship and stay in the game for long periods against Tyrone. A tough, fiercely competitive, aggressive defender and loves the competition. THERE will be some arguments in the Cavanagh household as to who is the best current county footballer. Colm is brilliant as a midfielder and even better in his role as sweeper. Only Cian O’Sullivan can rival him in that role and their upcoming duel will be fascinating. People forget he does burst out of defence an odd time and can regularly be seen starting and finishing a move, something he has added to his game. MONAGHAN came up short again, but Kieran Hughes had a very strong season. He was unplayable in the first 20 minutes against Down in the Ulster semi-final until some wayward kicking from Rory Beggan diminished his influence. Got his revenge in their next meeting with Down and kicked some fine points. 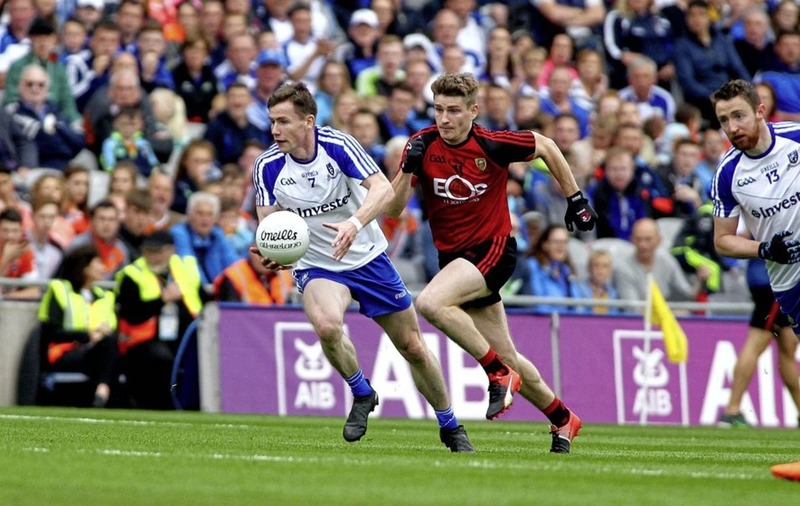 Alongside McManus and O’Connell, carried Monaghan over the line in their victories. MULTIPLE Irish News Allstar winner for a reason. He handles more ball in one game than most other players combined in a couple of games and more often than not always carries that scoring threat. A new leader for Tyrone and rarely has a bad performance. If Tyrone are to beat Dublin and win an All-Ireland they will need Donnelly at his best. WHILE the Championship started off with a bang for Down, it wasn’t really until the Ulster semi-final against Monaghan that we saw the best of Conor. He is a very intelligent and elegant centre-half forward. As Down progressed, Maginn got better and better and added some phenomenal scores in crucial games. Only God knows why he was substituted against Monaghan in Croke Park. HE may be Mickey Harte’s nephew but he doesn’t need to wave the family card to get into this Tyrone team. Peter Harte is quite simply a class act. The Errigal Ciaran man glides past opposition and is only reaching the peak of his playing career at this stage. A lot will depend on his influence if Tyrone want to progress further. Hardest position in the game. Regularly left isolated and playing against three or four sweepers at times, he makes the job of being corner-forward playable. Blessed with a gem of a left foot, the selfless running of this man is special. Tyrone players and management appreciate his effort and I hope the public do too. A first Irish News Allstar would be richly deserved. 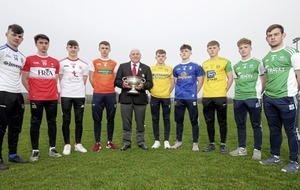 BEFORE 2017, Connaire had been in and out of county squads for several years. He always had the potential but needed the chance and to be playing regularly. He sat out most of the League and his performances from the first round in June in Newry were a real joy. I am sure the Wylie brothers and a few other full-backs will be glad Down are out, as Harrison gave them all a torrid time. HE may not have been at his best, but even at 70 or 80 per cent he is still better than most other forwards in Ulster. Jamie Clarke was very close to picking up the other forward berth, but McManus has that special level of consistency against the bigger teams in the biggest matches. Even in defeat McManus carried the fight, as only he can.